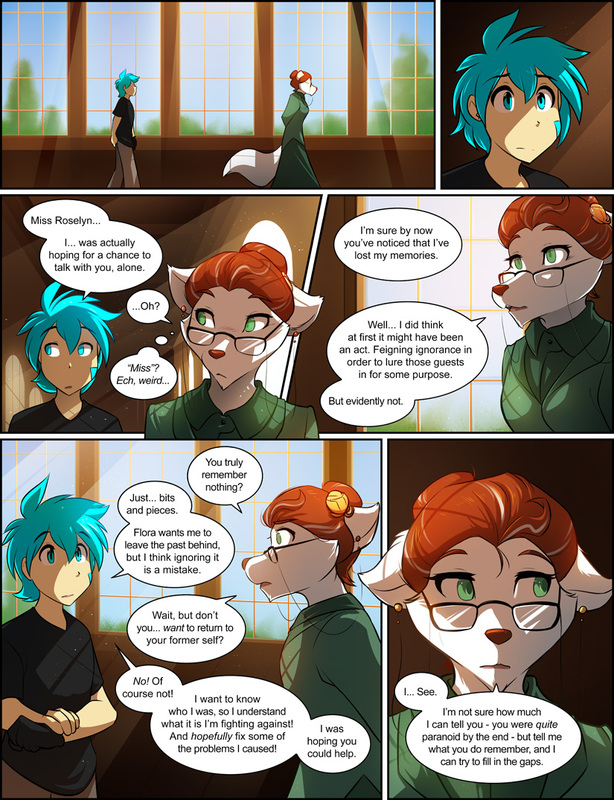 1030: What Rose Knows - Twokinds - 15 Years on the Net! 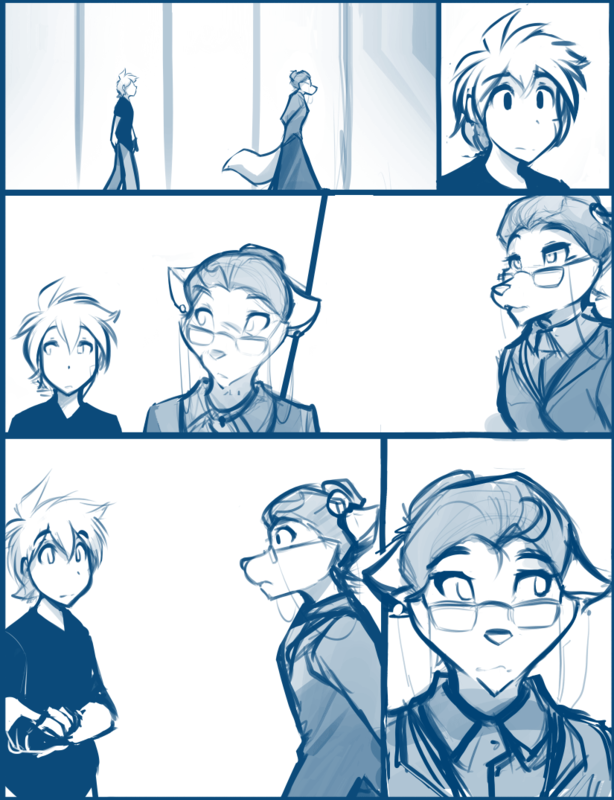 Trace: Miss Roselyn… I… was actually hoping for a chance to talk with you, alone. Trace: I’m sure by now you’ve noticed that I’ve lost my memories. Roselyn: Well… I did think at first it might have been an act. Feigning ignorance in order to lure those guests in for some purpose. But evidently not. Roselyn: You truly remember nothing? Trace: Just… bits and pieces. Flora wants me to leave the past behind, but I think ignoring it is a mistake. Roselyn: Wait, but don’t you… want to return to your former self? Trace: No! Of course not! I want to know who I was, so I understand what it is I’m fighting against! And hopefully fix some of the problems I caused! I was hoping you could help. 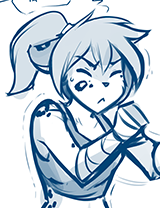 Roselyn: I… See. I’m not sure how much I can tell you - you were quite paranoid by the end - but tell me what you do remember, and I can try to fill in the gaps.